Northwestern ended last season with a bitter taste in its mouth, losing in the Big Ten Tournament semifinals to top-seeded Maryland in double overtime. But the Wildcats will have the chance to cleanse their palates this year, when the team faces six opponents who bested them in games last season. However, NU will have to move forward without the seven seniors who graduated following last year’s tragic loss to the Terrapins. The Cats lose four seniors who started in all 21 matches last season, including second-team All-American back Lisa McCarthy. McCarthy was a pivotal component in NU’s stifling defense, which held teams to an average of 1.52 goals per game — No. 15 in the nation in the category — and recorded six shutouts last season. But McCarthy, the team’s anchor, was also a major facilitator for the Cat’s offense. She finished with 13 assists last season and ranked No. 16 in the country in assists per game. NU finished last season with the 11th highest-scoring offense and the 8th most assists per game in the NCAA. But the Cats’ offense centered on its ability to generate penalty corners, as the team averaged 9.38 per game and finished second in the country in the category. With the loss of McCarthy, NU will have to look for a replacement for the team’s top goal-feeder, and whoever takes on the role will have big shoes to fill. Although the team is losing several critical players, the Cats will return their dynamic scoring tandem in senior midfielders Dominique Masters and Isabel Flens — two of just three seniors on the 2016 roster. Masters finished as a top-10 scorer in the country, racking up 17 goals in 20 games. Flens, who was the No. 23 scorer in the nation last season, finished with just 1 less goal than Masters, as the two combined for 80 of NU’s 197 points and 33 of the team’s 68 goals. With one more season under the duo’s belt, Flens and Masters will look to continue to improve and carry the team’s offense through a taxing regular-season schedule that features nine of 19 games against teams that qualified for the NCAA Tournament. But, thanks to strong recruiting, Flens and Masters won’t have to do it alone. The Cats added seven of the nation’s most coveted recruits to the roster this year, making for a much younger team than last year’s. 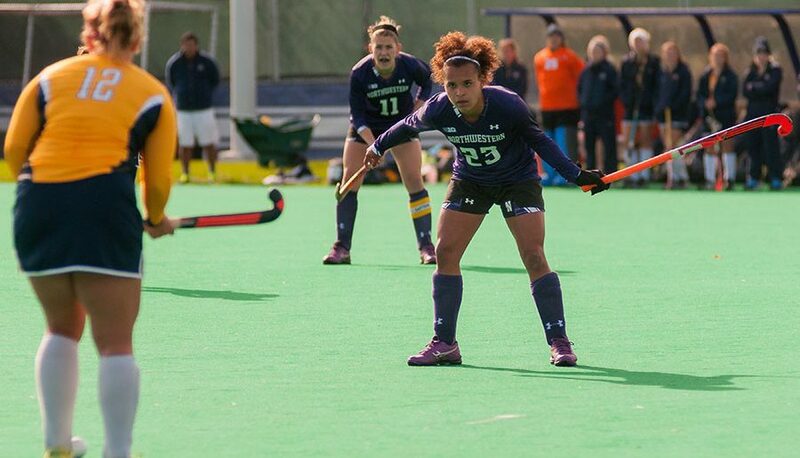 According to MAX Field Hockey, the team will be adding five ranked recruits and four in the top-50, including No. 9 forward Lakin Barry and No. 12 goalkeeper Caroline Hughes. Coach Tracey Fuchs will have until Aug. 26 when NU takes on Boston University to stitch together a lineup that gets the most out of her young roster. But even with a largely new, fresh-faced team, the Cats will remain at the forefront of one of the strongest conferences in the NCAA. 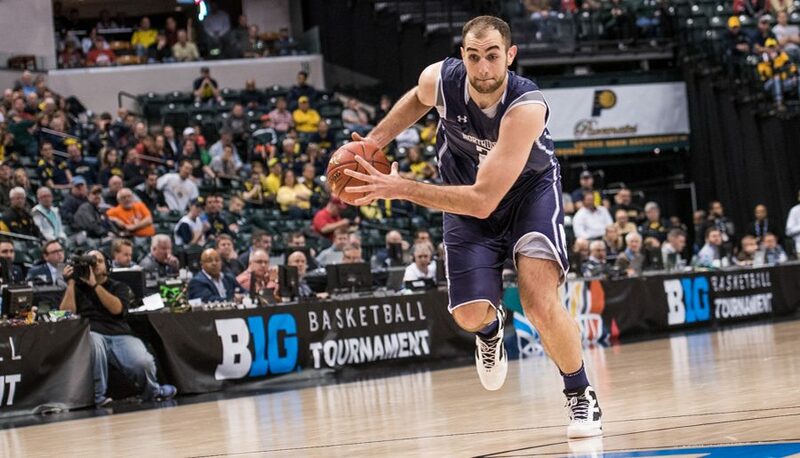 The Toronto Raptors agreed to a deal with former Northwestern guard Drew Crawford, the team announced Thursday. After finishing as a top-10 scorer in Israel for Bnei Hertzeliyya, Crawford received an invitation to play for the Raptors in the NBA Las Vegas summer league. Crawford played in five games for Toronto, averaging 8 points per game and shooting 50 percent from the field. Despite receiving a contract from the Raptors, Crawford is not guaranteed a spot on the roster to begin the season, as the team currently has 18 players listed on its roster, three more than the 15 allowed at the start of the season. The Wildcats haven’t had a player on a NBA roster during the regular season since Evan Eschmeyer played 17 games for the Dallas Mavericks in 2003. Toronto coach Dwane Casey said Crawford was very close to making the team last year, but fell just short. However, the guard impressed the team this time around with his combination of high-intensity on-ball defense and his ability to create his own shot. Crawford, who averaged 15.6 points and 6.4 rebounds for NU, will have to compete with the likes of Delon Wright, Fred VanVleet and Norman Powell for a role with the team. Wright, a standout at Utah, was a first-round pick in 2015 and Powell was drafted in the second round in the same draft and flashed majorly with expanded playing time at the end of last season. Like Crawford, VanVleet went undrafted and will also have to prove his worth to the organization. It will be difficult for Crawford to make the final roster for the Raptors, considering the already talented team is so deep at guard, but Crawford’s signing is promising for the future of Cats basketball and players who plan on playing beyond Welsh-Ryan. Every year, the NBA Summer League is a showcase event for players on the fringes of basketball looking for a shot at NBA glory. Stay with The Daily for updates on the summer league play of past Northwestern players trying to make a name for themselves at the next level. After scoring a combined 6 points in his first three summer league games, Northwestern product Alex Olah made a name for himself on Wednesday. The center shot a near perfect 7-of-8 from the field and tallied 14 points in 16 minutes for the New Orleans Pelicans. Olah had shot only 30 percent from the field to date in summer league, but the Romanian big got the start and stepped up his efficiency in the Pelicans’ playoff loss to the Miami Heat. For the first time in summer-league action Olah looked comfortable with the ball in his hands. He was able to make his way into the paint and finish at the rim. However, the former Wildcat struggled on the boards. Olah had difficulty securing rebounds in college, and he finished the game with only one rebound. The big man will need to be more effective on the glass going forward if he wants to keep his professional dream alive. 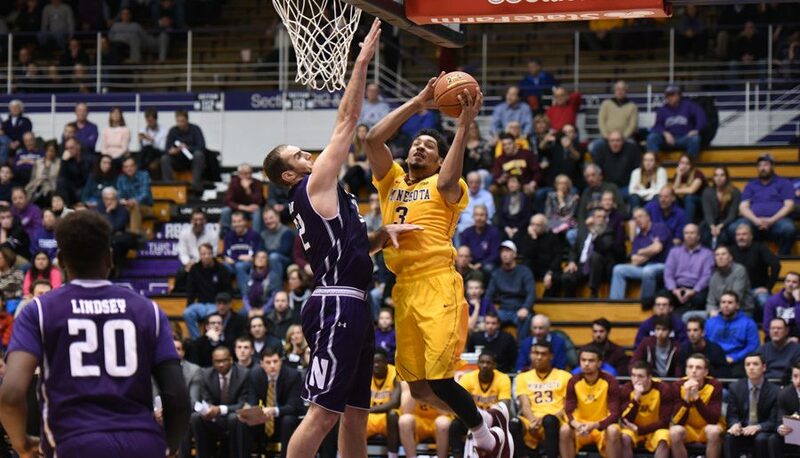 Ex-NU guard Reggie Hearn also took the court Wednesday, losing to the Philadelphia 76ers in the NBA D-League Select team’s playoff game. Hearn showed off his ability to shoot the three again against the 76ers, knocking down 2-of-4 from beyond the arc. But the guard had trouble finding his rhythm, scoring 8 points on 3-of-8 shooting after scoring 15 points in his last game. Olah and Hearn will face each other in a consolation game Friday when the Pelicans match up with the NBA D-League Select team. Ex-Wildcat guard Reggie Hearn had a big game for the NBA D-League Select team on Monday, scoring 15 points in just over 20 minutes in a 89-71 win over the Houston Rockets. Hearn was able to get into a rhythm and connected on three of his six three-pointers in the game. He finished the night shooting 5-8 from the field, played the sixth most minutes on the team and didn’t record a single turnover. The former Northwestern sharpshooter is starting to find his stroke in this year’s summer league and is now 5-8 from three in his last two games. Hearn has impressed with his scoring ability, but his ability to facilitate and find open shooters has been questionable. Drew Crawford also took the court on Monday for the Toronto Raptors against the Dallas Mavericks, tallying 6 points on 3-5 shooting in a victory. He recorded a single assist, missed both of his three-point attempts and struggled to make a big impact on the game. The former Cats guard has had a relatively lackluster showing in summer league so far, seeing limited minutes off the bench for the Raptors. However, Toronto is currently 3-0 and is looking at a spot in the summer league playoffs, so Crawford will have another opportunity to prove himself. Former NU center Alex Olah also registered significant minutes for the New Orleans Pelicans on Monday night. The big man finished with 6 points, three rebounds and a block against the Sacramento Kings in the Pelicans’ 70-66 win. Olah was on the court for just under 22 minutes and converted on three of his seven field goal attempts. The center was noticeably active as a screener on offense, setting frequent off-ball screens to free up shooters. He also often tried to run the pick-and-roll with his New Orleans teammates, but couldn’t seem to get a touch of the ball down low. Olah wasn’t the most graceful player on the court, taking several ill-contested shots. With just one minute left in the game and the Pelicans up by three, the center took a contested hook shot in the post which slammed against the backboard and missed the rim wide left. Olah didn’t look comfortable with the ball in his hands but he was able to command the paint on defense. The NU standout did a stellar job containing Kings big man Willie Cauley-Stein inside, moved his feet quickly to corral penetration, and only committed three fouls in the game. For Olah, who wasn’t known for his defense in college, it was a positive sign that he might be able to keep up on that end at the next level. Former Northwestern center Alex Olah made his debut in the NBA Summer League on Sunday, joining three other Wildcats in summer league action. Olah failed to record a single minute in his first game with the New Orleans Pelicans, but NU’s all-time leader in blocks played 15 minutes against the Utah Jazz.The Romanian product went 0-3 from the field and finished the game with 0 points. However, Olah managed to make a difference in the paint, grabbing five rebounds and blocking two shots. Olah struggled to find his touch around the rim, but the big man’s rebounding ability looked improved compared to his collegiate career. Olah will play his next game on Monday night against the Sacramento Kings. Along with Olah, former guards Drew Crawford and Reggie Hearn saw some time in their respective games. Crawford played just over 19 minutes for the Raptors in a win over the Minnesota Timberwolves, finishing with 7 points on 3-6 shooting. He continued to impress defensively, tallying a steal and a block, but faced trouble with turnovers and missed both of his 3-point attempts. It seems Crawford has worked his way into a prominent role in Toronto’s summer rotation, as he played the fifth most minutes on the team last night. Hearn suited up for the NBA D-League Select team again on Sunday against the Milwaukee Bucks and put up improved shooting numbers over his first game, scoring 8 points in 17 minutes. Hearn went 3-4 from the field, including 2-2 from three-point range. But the guard has yet to standout among the amalgam of D-Leaguers, and will have to boost his scoring numbers to attract the attention of NBA scouts and coaches. While three Cats took the court on Sunday, NU standout Tre Demps didn’t play a single minute for the Chicago Bulls against the Philadelphia 76ers, his second straight game without an appearance for the team. Demps averaged 15.7 points per game last season for the Cats and was known for his ability to create his own shot, but he was one of only three players for the Bulls not to play. He will get another chance for playing time on Tuesday against the San Antonio Spurs to get playing time. Three former Northwestern players started their summer league seasons on Friday, vying for a chance to make a NBA roster. Guard Reggie Hearn, who ended his Cats career in 2013 and averaged 13.4 points per game in his final season, got the day underway against the Memphis Grizzlies. After starting 22 games for the Reno Bighorns in the NBA D-League last season and averaging 11.5 points per game, Hearn earned an invitation to compete with the NBA D-League Select team. Despite having a successful season with the Bighorns, Hearn didn’t make much of an impact in his summer-league opener, a 99-79 loss to the Grizzlies. Hearn played just under 18 minutes in the game, missed both of his 3-point attempts and finished with 4 points and a rebound. Hearn will have to wait until Sunday to get back on the court, when his team takes on the Milwaukee Bucks. Along with Hearn, former guard Drew Crawford opened his summer league season on Friday. After finishing as a top-ten scorer in Israel last season, Crawford scored 8 points and recorded two assists in the Toronto Raptors 88-47 win over the Sacramento Kings. In the blowout, Crawford knocked down both of his three-point attempts and played solid on-ball defense, forcing opposing guards into difficult decisions and drawing offensive fouls. During the game’s broadcast, Raptors coach Dwane Casey made an appearance and said Crawford was very close to making the team after last year’s summer league and will have a legitimate chance to make the roster this year. Crawford will return to action on Sunday against the Minnesota Timberwolves. Rounding out NU notables in Friday’s games was Cats all-time blocks leader Alex Olah, who was one of three New Orleans Pelicans players not to play in the team’s opening game against the Los Angeles Lakers. New Orleans faces Utah on Sunday, when Olah will get another opportunity to potentially see the floor. Northwestern’s all-time leader in games played Drew Crawford told The Daily that he will play for the Toronto Raptors in the 2016 Las Vegas NBA Summer League from July 8-18. The guard is also registered to compete a team of former Wildcats in The Basketball Tournament held in Chicago, but the summer league will interfere with the first round of the tournament. “I’m going to focus on summer league, but after it’s over with I’ll look forward to playing in the tournament,” Crawford told The Daily. 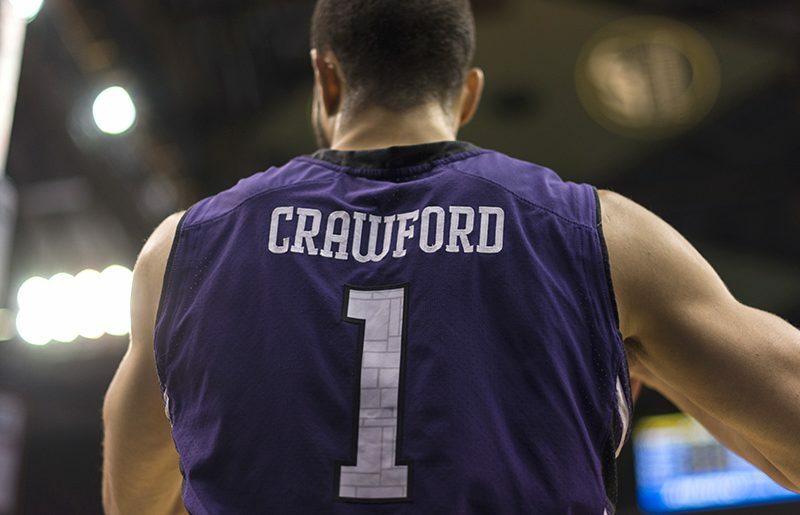 Crawford last played for NU during the 2013-2014 season, when he averaged 15.7 points per game and 6.4 rebounds per game. In his program-record 143 games played, Crawford boasted a .369 shooting percentage from three while scoring 1169 career points. Last season, the former NU star played in Israel for Bnei Herzeliya and averaged 16.2 points per game. Crawford was the No. 11 scorer in Israel’s Winner League. This is not Crawford’s first time playing in the summer league, as he has already had stints with New Orleans, Toronto and Orlando. After not receiving a spot on the Pelicans following the 2014 summer league, Crawford was picked up by the Magic for a brief period of time. He then went on to play a season in the NBA Developmental League for the Erie Bayhawks, where he averaged just over 16 points per game, before making 2015 summer league appearances with both the Magic and the Raptors. The Raptors play the Sacramento Kings in the team’s first summer league game on Friday, July 8 at 9 p.m. CST. Former Northwestern center Alex Olah, Northwestern’s all-time leader in blocked shots, will get a shot with the New Orleans Pelicans this summer. After not being selected in the NBA Draft on Thursday, Olah announced that he would play for the Pelicans from July 8-18 in the 2016 Las Vegas NBA Summer League. He will play his first game against the Los Angeles Lakers on July 8 at 9:30 p.m. CST. Alex Olah, Northwestern's all-time leading shot blocker, playing summer league with Pelicans, will then join Romanian National Team after. Olah is one of three Wildcats players who was eligible to be drafted Thursday night, joining guard Tre Demps and center Joey van Zegeren. Demps and van Zegeren have not announced summer league invites yet. Demps’ father, Dell, is the general manager of New Orleans. Olah averaged 11.4 points per game, 5.6 rebounds per game and 1.4 blocks per game in his senior season, dealing with a foot injury that caused him to miss the beginning of the conference season. Senior attacker Kaleigh Craig was named a third-team IWLCA All-American on Wednesday. Craig will join 47 other players, who together comprise three Division I All-American teams. The senior receives the honor after being named to the All-West/Midwest First Team last week. Craig led Northwestern’s offense this year, despite facing one of the toughest schedules in the history of the program. But even with the reputability of the Wildcats’ opponents, she still set career highs with 53 goals, 14 assists, 67 points and 4 game-winning goals. The senior also reached new career highs on defense winning 35 ground balls and forcing 16 caused turnovers. 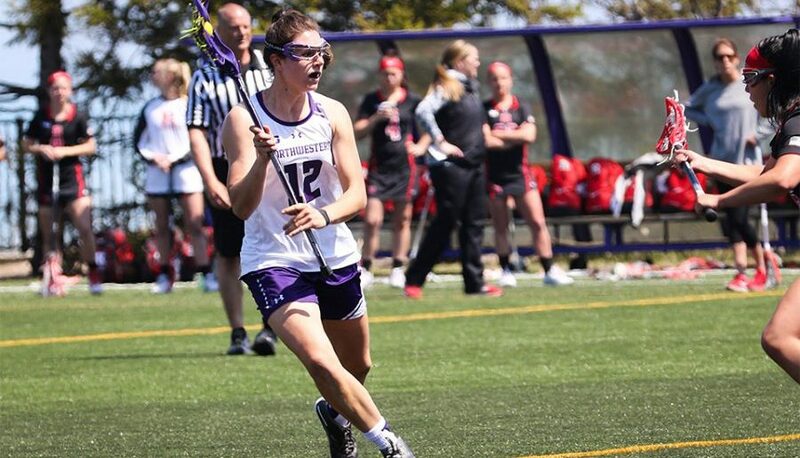 NU’s standout attacker was also named to the All-Big Ten team by the conference earlier this year. Craig finished fifth in the Big Ten in scoring, averaging 2.58 goals per game. The senior finished her Cats’ career with 134 goals, falling just short of the top 10 scorers in NU history. Sophomores Maddie Lipp and Alex Chatt will be participating in the NCAA Women’s Tennis Championships at the end of the month, the NCAA announced Wednesday. Lipp also received an at-large bid in the NCAA Singles Championships. Last week, Lipp was ranked No. 50 in the country by the Intercollegiate Tennis Association, and has a team-high 23 singles win wins this season. The sophomore also recorded an 8-1 record in conference play this season. Meanwhile, Chatt and Lipp were ranked No. 22 in the nation in doubles. The pairing has a record of 23-9 this season and has defeated eight ranked opponents. The NCAA Singles and Doubles Championships will take place from May 25-30 in Tulsa, Oklahoma.